No CS-Cart core and template files modified during the creation of the add-on. The module is installed as an add-on to the software and can be removed at any time. The module is specially designed for CS-Cart e-commerce software, that allows you to preview a full-size (detailed) image of the products in popup window on all CS-Cart product listings, including sideboxes, hot deals banner, feature product listings and etc. The add-on has the setting parameters (re-sizing feature, popup behavior, images preloading in background and etc.) 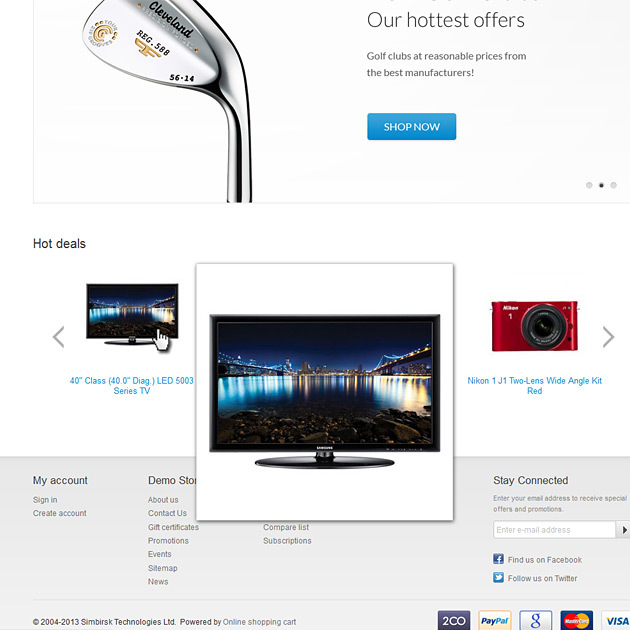 in the admin section of CS-Cart. 1. Backup all the files and database of your store before any changing. 2. Upload the module package (zip file) to the root directory of your CS-Cart installation (for example: www.yourdomain.com/your_cscart_store/). 3. Unzip the module package. 4. Delete the package archive (zip file). 5. Log in to your admin area. 6. Go to the "Administration -> Add-ons" section of your admin area. 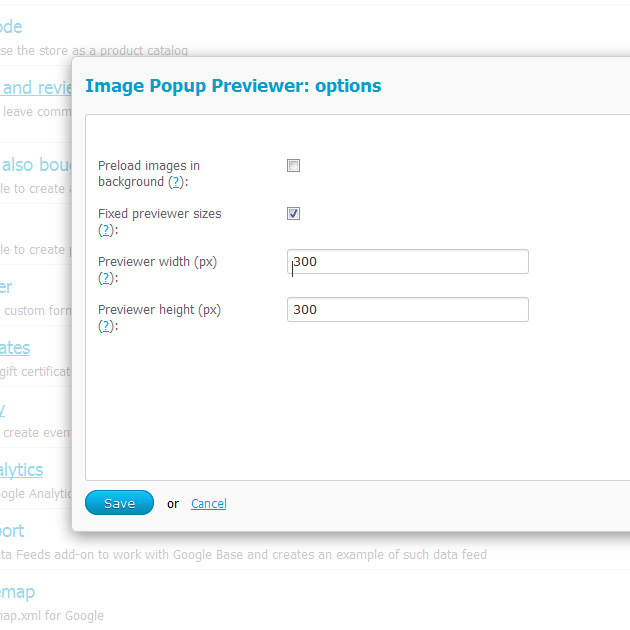 Find the "Image Popup Previewer" name in the list of add-ons and click to the "Install" link. 7. 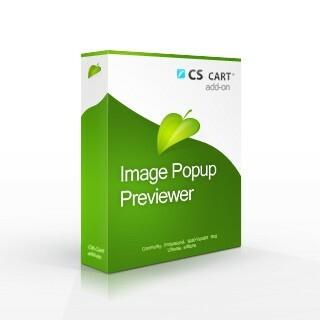 The "Image Popup Previewer" will be installed on your store. You can edit settings of the module via "Administration -> Add-ons" section of the CS-Cart admin area by clicking to the "Image Popup Previewer" name in the add-ons list. All the necessary descriptions of the settings are included.